The Photographers’ Gallery in London has announced its autumn line up of exhibitions, and we’ve immediately popped Feminist Avant Garde of the 1970s in our diaries for October 7, joining our expanding list of exhibitions we’re looking forward to this year. Retracing the careers of 48 of the most rule-breaking, agenda-setting and stereotype-smashing female artists of the 1970s, the exhibition comprises over 150 major works, curated from the expansive VERBUND COLLECTION in Vienna. Alongside household names such as Cindy Sherman and Francesca Woodman, the exhibition also introduces the work of lesser known (and equally as brilliant) feminist artists including Ewa Partum, Rita Myers and Sanja Iveković. Using photographs, collage pieces, performances, films and videos produced throughout the seventies, their work refocused ‘the woman’ from being a passive muse who surrendered herself to the male gaze. Looking at these works of art today, gives us an insight into a period of female emancipation that has helped shape our own lives. 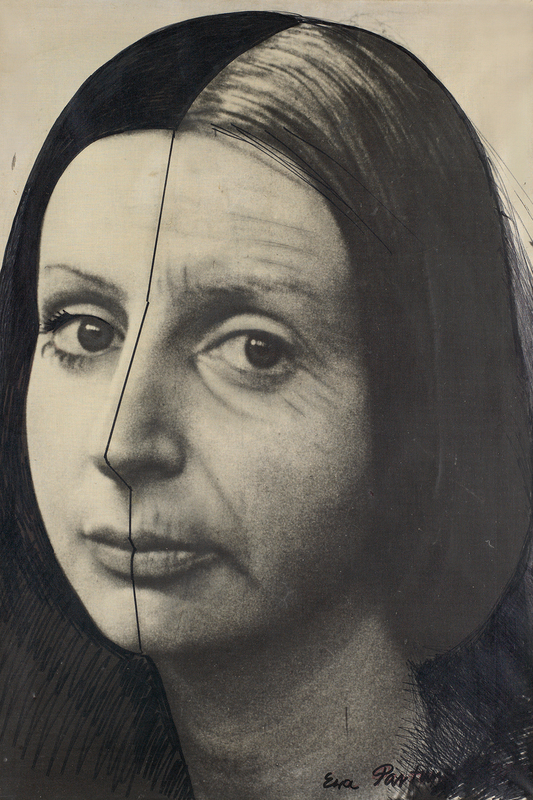 From a poignant self-portrait by Ewa Partum (above), in which one half of the artist’s face is aged using make-up techniques, to Rita Myers collages of her body to create ‘the perfect version of herself’, this set to be a must-see exhibition. The Photographers’ Gallery has become one of our favourite weekend destinations for a cultural fix. Opening in 1971, it was the UK’s first independent gallery devoted solely to photography. As well as exhibiting key international photographers over the years – including fashion favourite Juergen Teller – it’s helped to establish modern British photographers, including the late Corinne Day. For further info, visit thephotographersgallery.org.uk.